Growing up in a family where hunting and fishing were a way of life instilled in me a passion for both from a young age. I learned to admire and respect mother nature and all she has to offer. I spent countless hours in the woods and on the water experiencing the thrill of the chase. I got my fly fishing start fishing for trout in streams in the midwest. Since then, I have been fortunate enough to have fished all over the world. 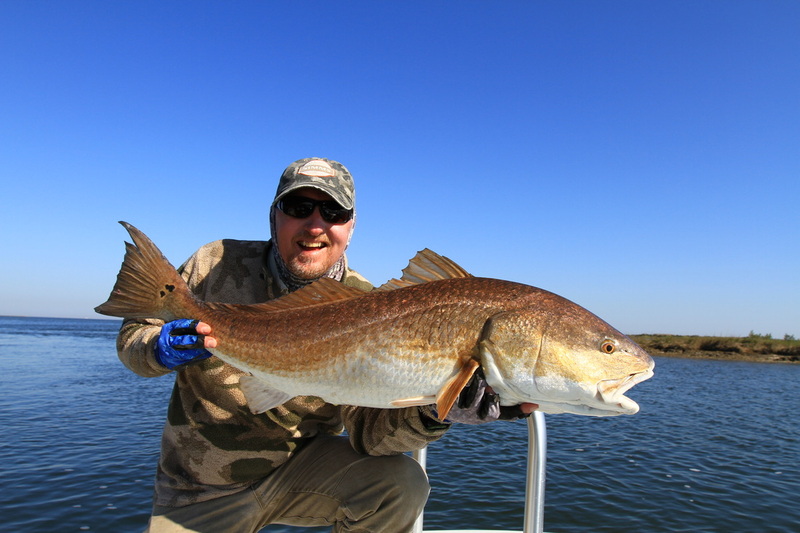 After fishing Louisiana’s marshes for redfish, I knew I had found an extraordinary fishery. Louisiana’s marshes are busting at the seams with redfish and other game species making a typical day of fly fishing truly a trip of a lifetime. Sight fishing with a fly rod combines the two things I love. Hunting for redfish in shallow water gives me the same adrenaline rush I get waiting out big game in the woods or calling in ducks on the water. Watching a redfish turn on a fly and inhale it still gets my blood flowing after seeing it countless times. Those first experiences were so exciting I wanted to help others experience it too, and the way to do that was to become a fly fishing guide. As a guide I not only get to experience Louisiana at her best, I also get to watch most of my clients catch their first redfish. Experiencing that level of excitement day after day is what keeps this job from getting old. Being on the water, and doing what I love gives me a level of satisfaction that is hard to explain. Its a satisfaction you will understand, when you come spend a day with me in paradise!